Antifa Group That Confronted Cruz At Restaurant Mon., Threatens Him On Tues.
Members of the ‘Smash Racism DC’ group, supporters of Antifa, yelled “we believe supporters” hounded Cruz over his support for Supreme Court nominee Brett Kavanaugh, who is facing sexual assault allegations which he denies. The activists shouted “We believe survivors” and “Sexist, racist, anti-gay!” while a woman quizzed the Texas GOP senator whether he believes the women making the allegations against Kavanaugh. We could have dined on a lavish four-course meal for only $145 while millions of Americans struggle to buy groceries. He might have sampled from the top shelf wine list as migrant children languish in cages. 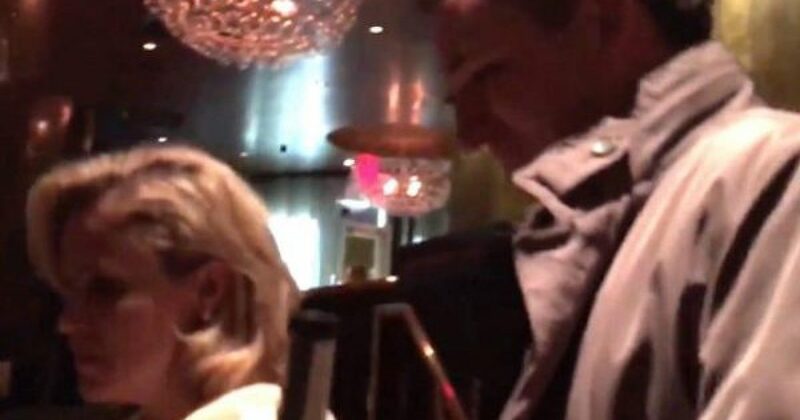 Instead, activists from Smash Racism DC, Resist This, DC IWW, members of DC Democratic Socialists of America, Anarchists, women, sexual assault survivors, and members of the LGBTQ community interrupted Ted Cruz’s peaceful meal. While our interruption does not compare in scale to the interruptions his actions as a Senator have had on millions of American lives, we hope that it reminds Cruz and others like him that they are not safe from the people they have hurt. p6. This is a message to Ted Cruz, Bret Kavanaugh, Donald Trump and the rest of the racist, sexist, transphobic, and homophobic right-wing scum: You are not safe. We will find you. We will expose you. We will take from you the peace you have taken from so many others. The above tweet was taken down, I guess the cowardly terrorists were not too brave. If you are wondering how can something like this happen, just look at what Mad Maxine Waters told supporters earlier this summer. I feel so bad for Ted and Heidi Cruz and hope that Congress sees its way to censure Maxine Waters. I just wonder when the Liberal Media will condemn liberal violence. But I am also reminded how Europe, the US, and the mainstream media appeased Yassir Arafat all those years and that appeasement taught them that appeasement was a legitimate manner of political expression. That appeasement led to al Qaeda and ISIL and continues in Europe, and the mainstream media who calls them “millitants”. It even continued in the United States during the Obama administration. Todat the mainstream media and the Democratic Party are appeasing the leftist violence. If they don’t start objecting loud and clear very soon, the harrasing will become violence, the violence will become murders and mass murderers. And then it wil be too late. California left-winger was arrested after attacking a Republican candidate with a switchblade while screaming anti-Trump rhetoric. Portland police report being attacked by counter protesters (Antifa) with bricks, bottles, etc. at Portlands freedom of speech rally. Confiscate numerous weapons from left wing counter Protestors. The Occupy movement has a horrific record of violence. Occupy Wall Street Exposed has counted a dozen deaths, including three murders; more than a dozen rapes; more than 25 disgusting cases of indecent exposure, public defecation, etc. ; more than 500 thefts; more than 6,800 arrests; and in excess of $12 million in property damage. A sorry record by any standard.